Lifespan: Up to three years. Brief description: Ticks belong to the spider family and survive by drinking the blood of their hosts. Ticks can transmit diseases from one host to the next, and they can infect the host with multiple pathogens at the same time, complicating diagnosis and treatment. Ticks live in all 50 states. They are active year round and, unlike mosquitoes, do not die off in frost. Ticks consume blood as their single source of nourishment. They have four life stages: egg, larvae, nymph, and adult. After they hatch, ticks need blood to survive and pass through each life stage. Ticks unable to find a host will die. Unfortunately for us, ticks can be pretty smart about finding their next meal. They have sensory organs in their legs that can detect an animal’s body odor, body heat and breath. Some species can detect a host’s shadow. They cannot jump, but many wait patiently in the grass with their first pair of legs outstretched, ready to climb onto a passerby host. 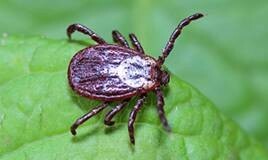 Some ticks attach quickly, while others crawl upwards, searching for thinner skin such as that in the neck or ear. Unlike mosquitoes, ticks are slow to begin eating. Once they have found a spot, they grasp the skin, cut a small hole, and insert a tiny feeding tube. They feed for several days, then drop off the host and enter a dormant phase, before molting and entering the next life stage. Ticks are sly creatures and difficult to detect. Their bites are usually painless. Later, the site of a bite can become inflamed, itchy, or intensely painful, but those instances are rare. Symptoms that are characteristic of tick-borne illness include fever, chills, aches and pains, and/or a rash that develops three to thirty days after the suspected bite. Ticks like dark, damp, shady wooded and grassy areas where they can safely wait for their next host to stroll by. 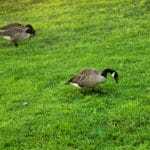 They tend to hang out along the perimeter of a yard, where closer cropped grass meets the taller brush of an adjacent field or forest. Tick pesticides, known as acaricides, are effective and relatively easy to use. Only a small amount of acaricide applied at the right time of year is needed. A single spray in May or June can control of nymphal I. scapularis ticks, the ones most likely to transmit Lyme disease, anaplasmosis, and babesiosis. An application in early fall can be used to control adult blacklegged ticks, although they are not usually vectors of disease. 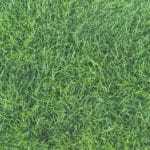 A licensed lawn care professional who has experience with ticks can help you develop a plan and then carry out the applications to achieve the control you need. 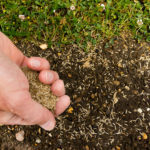 You can make your yard a tick-free haven by keeping the lawn healthy and removing areas for the ticks to hide. 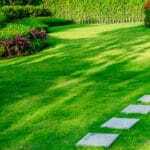 Mow regularly, stack wood neatly, clear tall weeds and brush from around the edge of the lawn, and remove leaf litter and other trash. Position outdoor furniture and playground equipment away from the yard edge or treeline, where ticks like to live. Build and maintain a sturdy fence to prevent unwanted animals such as deer, possum, raccoons, and stray dogs from trespassing.